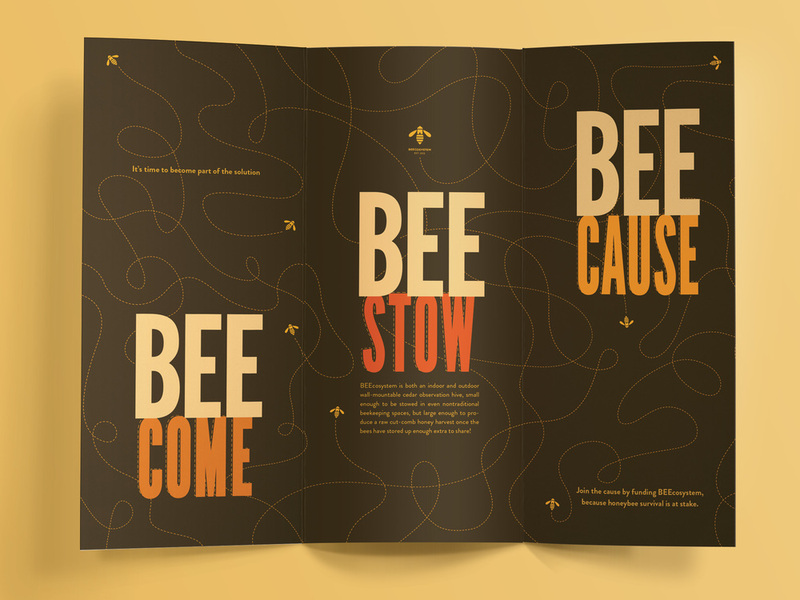 This is a trifold I created for the Kickstarter campaign named Beecosystem, that advertised an indoor and outdoor beehive. 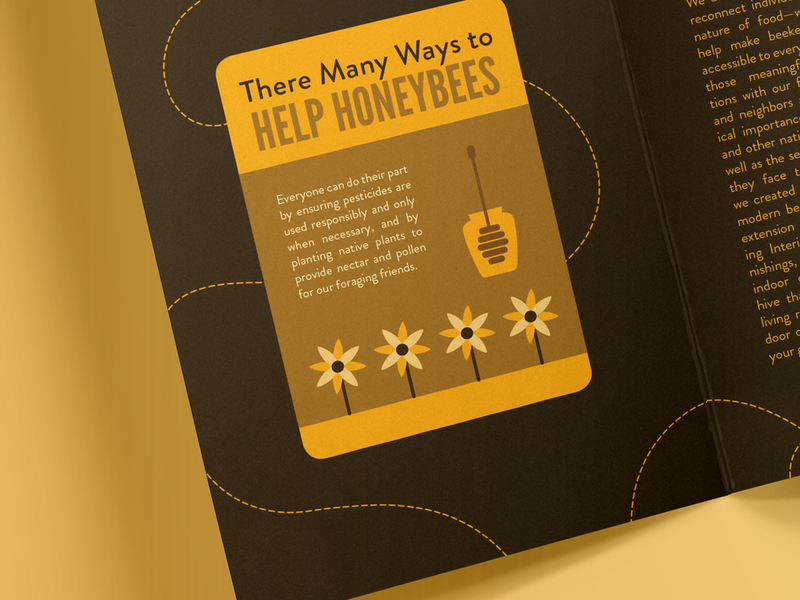 I was interested in this campaign because it not only promoted this hive, but because it brought attention to the many consequences of the declining bee population. My color palette is filled with dark brand and golden yellows to resemble the color of honeybees. I created a logo that plays off the idea that Beecosystem is a new home for bees by combining the imagery of a house and a bumble bee.